Nicole (second from the left) and three other DIS students on a scavenger hunt during their first week in Copenhagen. 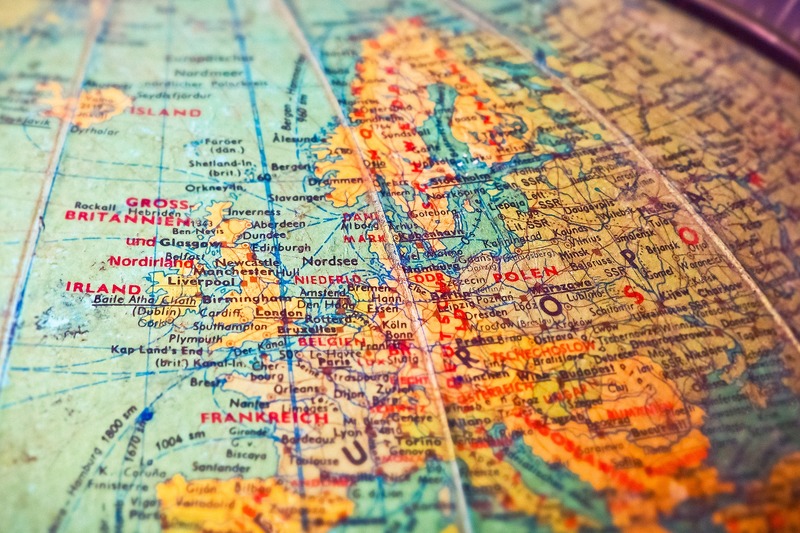 Academic Life: Being in a program specifically for study abroad students had many benefits as it allowed students to have a very unique and experiential learning experience. Every DIS student chooses a core course which has a Core Course Week traveling around Denmark and a Study Tour Week going to another country. I chose the Medical Practice and Policy Program and was able to tour hospitals in Western Denmark, Sweden, and Estonia. This course compared Scandinavian and American healthcare and went through an overview of every body system and diseases. The class itself was taught in a hospital setting by Danish doctors. I would recommend this class for any students considering a career in the medical field. 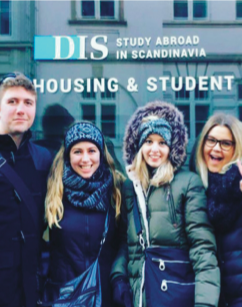 The elective classes at DIS are also great because every Wednesday is a field day and your classes will take you on short field trips around Copenhagen to see and learn things related to course material. Many elective classes offered through DIS are unique and not offered in Madison. Gaining Skills: I believe that students who study abroad demonstrate that they are willing to embrace challenge and jump right in to new situations. Moving to a new place where you don’t know anybody, don’t understand the culture and may not even know the language is not an easy task, but it is an exciting one. Picking up your entire life and adjusting to a new way of living and a new education system shows adaptability and perseverance. Future Aspirations: Studying the Medical Practice and Policy program in Copenhagen helped me realize that I am much more interested in global health and health policy than I realized. I now hope to have a career that combines my love of medicine with newfound passion for global health. I also feel that living and interacting with people from another culture has well-equipped me to work in diverse work settings.